Professor Yike Guo is the Institute's first Director. Yike also hold a position in the Department of Computing as leader of the Discovery Science Group. 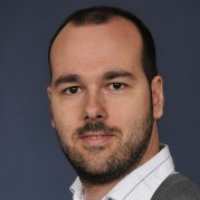 Dr. Yves-Alexandre de Montjoye is Assistant Professor in the Department of Computing and Research fellow at the Data Science Institute where he heads the Computational Privacy Group. Yves-Alexandre is a Special Adviser to EC Commissioner Vestager. Dr Seth Flaxman is a lecturer jointly at Data Science Institute and the Department of Mathematics at Imperial College London. His research centres on scalable methods and flexible models for spatiotemporal statistics and Bayesian machine learning, applied to public policy and social science. Alice Ashley-Smith is responsible for the operational management of the Data Science Institute. She works with the Director of the Institute, Professor Yike Guo, to develop policy and strategy, managing and coordinating administrative support and governance. Anna coordinates the DSI Fellows network, supports grants applications and promotes collaborations within Imperial and with external partners. She brings to the DSI years of experience in research, both in academia and in industry, as well as in foresighting, outreach and engagement. She is responsible for the internal and external communication strategy of the DSI, designs and facilitates workshops, and supports cross-college collaborations in various capacity. She holds a degree in Chemistry, a MSc in Molecular Sciences and a PhD in process chemistry obtained jointly at Imperial College, JnJ and VITO. Diana O'Malley is our DSI Events Officer, responsible for delivery of all the DSI event programmes, to include; Distinguished Lecture Series, Seminar Series, Annual Lecture Series, conferences, topical debates, workshops and public engagement activities. Susan Mulcahy is our Senior Education & Teaching Fellow, developing the educational offering of the DSI. Susan obtained her data-driven PhD from Imperial’s Bioengineering Dept, where she has taught Matlab classes since 2012. She holds an undergraduate degree in Mechanical Engineering from Purdue University and a MBA from INSEAD. Florian Guitton manages the networking and data centre operations at the DSI. In 2012 he joined the Discovery Sciences Group at Imperial College London where he became Research Assistant working on iHealth and eTRIKS programs. In 2013 he become PhD candidate under the supervision of Professor Yi-Ke Guo. 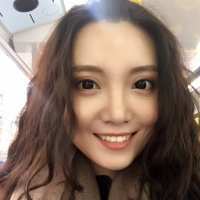 As Project Manager (China Collaboration) at the DSI, Ping Huang coordinates the operational and research project management of the Joint Lab for Applied Data Science (Lab) between Imperial College and Zhejiang University (ZJU) . She is central to the consolidation of the ever growing relationship of the DSI with Chinese academic/ industrial partnerships. In addition to working as a data analyst, Kai Sun handles the communication and collaborations between us and our Chinese collaborator HNA. Julio joined the DSI through an Imperial College Research Fellowship. He holds a PhD from the University of Essex and has experience in Machine Learning, Natural Language Processing, Recommender Systems, Social Networks and Game Theory. His work aims at understanding how false information (often referred to as "fake news") is different from authentic information, how deceivers seed and spread fake information and how policy-makers could regulate platforms where fake information is abundant. Rossella Arcucci is Research Fellow in Data Analysis. The main topic of her research is Data Assimilation and/with Machine Learning, applied to several real case studies. Her areas of expertise are numerical analysis, scientific computing, and development of methods, algorithms and software for scientific applications on high-performance architectures including parallel and distributed computing. She leads and coordinates the activities of the DataLearning Working Group and supervises MSc students and early career researchers. 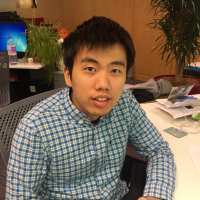 Chengliang Dai is a Research Associate working on a joint initiative between the Data Science Institute and the Institute for Translational Medicine and Therapeutics to develop a translational platform for analysis of brain imaging datasets held in the UK Biobank. He acquired his Ph.D in Computer Science from the University of York in 2016 and joined DSI in 2018. His research interests include biomedical data processing, time series analysis and deep learning in medical image analysis. 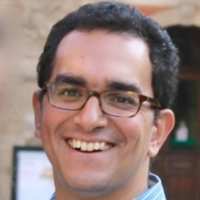 Ibrahim Emam is Research Associate leading the development of Translational medicine data management platform (PlatformTM). Before that, he was a senior software engineer at the Functional Genomics group at the European Bioinformatics Institute developing the Gene Expression Atlas and ArrayExpress2. He received his MSc in Bioinformatics from the University of Oxford and his double major BSc in Computer Science and Biology from the American University in Cairo Egypt. His working experience revolves around bioinformatics application design and development, large-scale data management and analysis, data standardization, modeling, and visualisation. Florian Guitton manages the networking and data centre operations at the DSI. In 2012 he joined the Discovery Sciences Group at Imperial College London where he became Research Assistant working on iHealth and eTRIKS programs. Florian is also undertaking a Ph.D. under the supervision of Professor Yi-Ke Guo. Yuanhan is a Ph.D. student in the Computing Department, under the supervision of Prof Yike Guo. His research interests include machine learning and medical Image analysis. Yuanhan recently received the young scientist award at the premier Medical Imaging conference MICCAI 2018. Miguel Molina-Solana is a Marie Curie Research Fellow working at the intersection of Machine Learning and Human-Computer Interaction. In his current research project, DATASOUND, he explores the opportunities that sound offers in the context of modern Data Science. 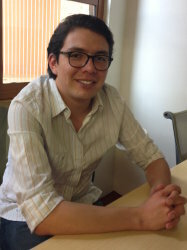 Miguel also collaborates with several researchers in college and worldwide on Business Analytics and Energy Management. Philip Nadler is a Ph.D. candidate in the Department of Computing supervised by Prof. Yike Guo. He obtained his Research Master in Economics from Maastricht University where he also used to work as a research assistant in the area of Bayesian inference and high-dimensional time series analysis. His research is focused on the intersection of economics and computer science. In particular, his research involves the analysis of cryptocurrencies and advances in distributed ledger technology. He is also interested in the combination of econometric methodology and machine learning to improve high-dimensional inference. Cesar is a Research Associate working in fast Data Assimilation with Machine Learning using air pollution data, as part of the Managing Air in Green Inner Cities- MAGIC - (an EPSRC collaborative project between The University of Cambridge, University of Surrey and Imperial College). He recently completed a PhD in Physics at Imperial College under the supervision of Prof. Ralf Toumi. At the DSI, Ovidiu focuses on modern Data Science techniques, including Large Scale Visualisation and Realtime Natural Language Processing. His research topics also include Natural Language Processing, Machine Learning, Affective Computing, and Interactive System Design. Chon Sou obtained his Master of Research degree in Cancer Biology at Imperial College London. Currently, he is working as a data analyst under eTRIKS and takes part in maintaining and assessing bioinformatics knowledge management platforms such as tranSMART, XNAT and Borderline in development. Mihai Suteu is a part-time Ph.D. student under the supervision of Prof. Yike Guo. His research topic is Deep Learning on Time Series and further interests are Representation Learning, Curriculum Learning, and Neuroevolution. 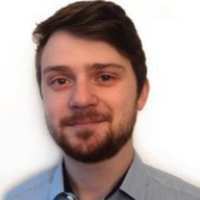 Arnaud Tournier is a Ph.D. student under the supervision of Dr. Yves-Alexandre de Montjoye at Imperial College London, where he works inside the Computational Privacy Group of the Data Science Institute. His research currently focuses on Machine Learning for biometric and behavioral identification. Over the last 5 years he obtained an M.Res. from Sorbonne (UPMC) in Applied Mathematics, an M.Sc. from Paris-Sud in Pure Mathematics and an Engineering Diploma (Centralien) from Ecole Centrale Paris. In 2013 he was a national finalist in France for the International Physics Olympiads. Nguyen B.Truong is currently a Research Associate at the Data Science Institute. He received his Ph.D. and Master degrees from Liverpool John Moores University, United Kingdom and Pohang University of Science and Technology, Korea in 2018 and 2013, respectively. He was a Software Engineer at DASAN Networks, a leading company on Networking Products and Services in Korea from 2012 to 2015. His research interest is including, but not limited to, Security, Privacy and Trust in the Internet of Things, Blockchain Technology, Personal Information Management, Fog, and Cloud Computing. Shuo Wang is a Research Associate working on SmartHeart project. The project aims to develop an integrated approach for cardiovascular MR imaging (cMRI) reconstruction, image analysis and clinical interpretation. His research interests include developing machine learning methods for biomedical image analysis and clinical assessment. Xiaoyu Zhang is a Marie Curie Early Stage Researcher at the Data Science Institute whilst concurrently joining the PhD programme under the supervision of Professor Yike Guo. He is working on the MSCA-ITN-2017 project "An Integrated Platform for Developing Brain Cancer Diagnostic Techniques" to develop Big Sensing intelligent warehouse for translation and clinical diagnosis study. 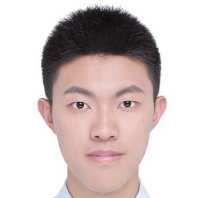 Jingqing Zhang is a Ph.D. student in the Department of Computing under the supervision of Prof. Yike Guo since 2017. His research interest includes text mining, multimodality, deep learning and data science. He is supported by LexisNexis HPCC scholarship.